The Department of Foreign Relations was established by the Kurdistan Regional Government in 2006 following the adoption of the federal Constitution of Iraq. Since then, it has become an integral part of the regional government. Today the DFR liaises with the Iraqi Ministry of Foreign Affairs on several tasks, and promotes the interests of the Kurdistan Region and its people as stipulated by the Iraqi constitution and the Region’s legislation. Some of the DFR’s main responsibilities include the strengthening of bilateral relations with members of the international community, the promotion of trade, investment and institutional ties, as well as the promotion of the interests of the people of the Kurdistan Region abroad. The DFR also oversees the activities of the KRG Representations abroad, who promote bilateral relations with their host countries and provide a number of legal and other services to the Kurdish diaspora. They also engage with local civil society, business communities and academic institutions. The DFR is headed by Minister Falah Mustafa Bakir. 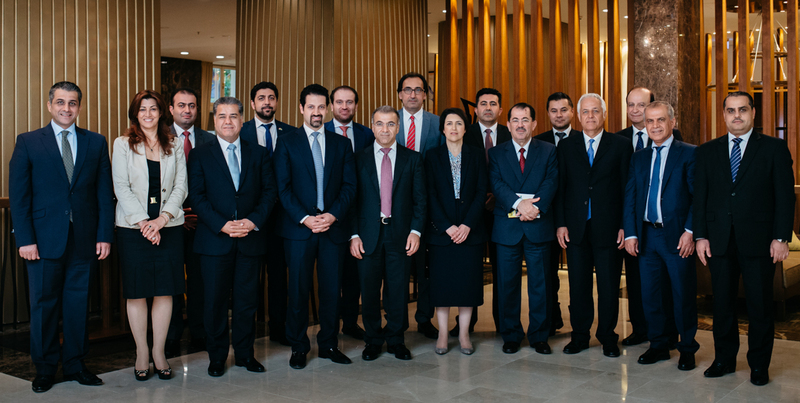 In accordance with the constitution of the Federal Republic of Iraq, the Kurdistan Regional Government of Iraq has established several representation offices worldwide to enhance its relations with the international community. The KRG has 14 official representation offices abroad, including in the UK, the USA, and France. In addition to providing legal services to the Kurdish diaspora, they promote the further development of bilateral relations in the fields of business, academia, and culture.